Born on January 28, 1935 in Rentiesville, Oklahoma, D.C. Minner was raised by a grandmother who operated a combination juke joint, speakeasy, grocery store and after-hours blues establishment. Minner grew up listening to acoustic blues played by various traveling musicians in his grandmother’s club. He loved the music and admired the musicians, often picking up their guitars between sets to mimic their performances. Al Freeman, a bluesman who played slide guitar with a pocket knife, served as an early inspiration for D.C.
During the Korean War, Minner served as an Army medic, learning to play Spanish-style guitar from his fellow servicemen while he was stationed. 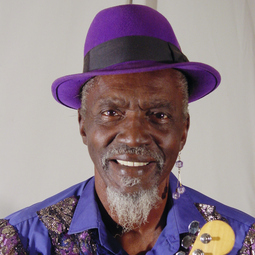 At war’s end, Minner returned to Oklahoma and began playing bass for Larry Johnson and the New Breeds, a group that backed up such well-known blues artists as Bo Diddley, Eddie Floyd, Chuck Berry, O.V. Wright, Lowell Fulson and Freddie King. In the 1960s, desiring a change of artistic direction, D.C. moved to San Francisco, took up the guitar as his primary instrument and began working the Bay Area club circuit. 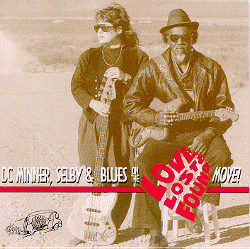 During this time, D.C. met his wife Selby, and after their marriage in 1979, the couple toured the United States as Blues on the Move for the next 12 years. D.C. became known for his subtle guitar work and gospel-influenced singing style, which paired well with Selby’s mastery of the bass. In 1988, tiring of the rigors of road travel, D.C. and Selby moved back to Rentiesville where they converted his grandmother’s prohibition-era speakeasy, The Cozy Corner, into The Down Home Blues Club, a new after-hours establishment. Rentiesville saw the return of the blues, this time served up by the same fellow who, as a young man, stood in awe of Al Freeman and the other traveling musicians who played his grandmother’s club so many years before. 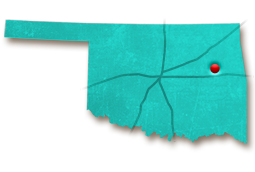 D.C. and Selby started their Blues in the Schools program through the Oklahoma Arts Council in 1989, performing music in classrooms and teaching students about blues and its history. For their educational efforts with Oklahoma school children, the Minners won a W.C. Handy Award and a Keeping the Blues Alive Award from the Memphis, Tennessee-based Blues Foundation. The Minners released several independent albums over the years, including a series of recordings at his homemade Texas Road Studio in Rentiesville. D.C.’s albums included Live (1991), Love Lost and Found (1997), Morning Train (1998), I Can Tell You Got Good Loving (2001) and Full Moon Over Rentiesville. For his contributions to Oklahoma music and education, as well as bringing awareness to the state’s blues history, Minner was inducted into The Oklahoma Jazz Hall of Fame in 1999, followed by The Oklahoma Music Hall of Fame in 2003. 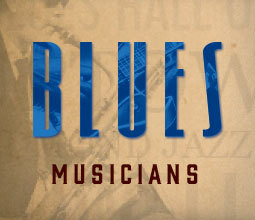 The blues still rule at The Down Home Blues Club these days. The club, located at 701 D.C. Minner Street in Rentiesville, also features D.C.’s Oklahoma Blues Hall of Fame, a series of photographs that celebrate lesser-known Oklahoma blues musicians. In his youth, what Civil War battlefield did D.C. Minner and his family like to visit?